What a horrible weekend. I have been knocked off my feet with a cold. Sore throat, achy bones, runny nose the works!! The weather is so cold at the minute too so not much fun going on around here. Another dusting of snow last night too. 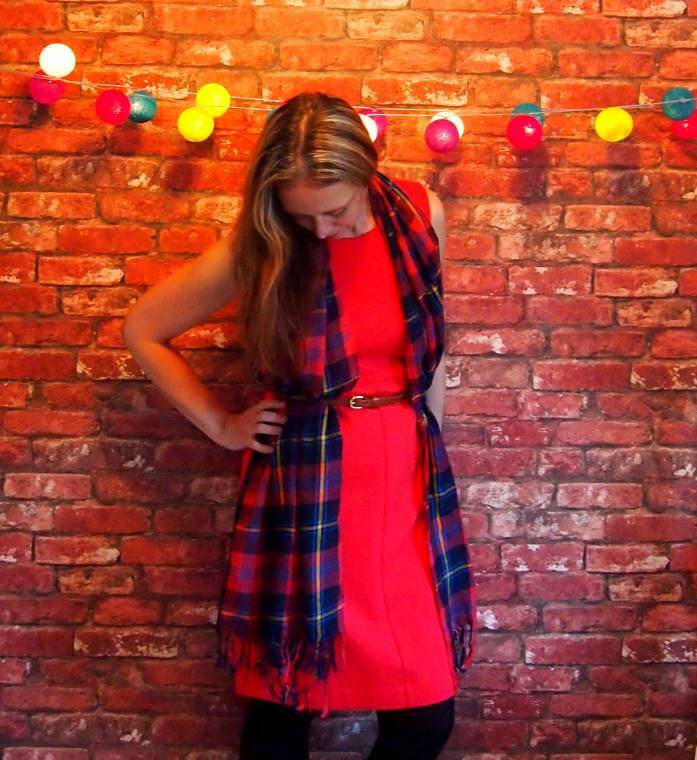 "Creative Mondays And This Weeks Featured Blogs 19/01/15 …"
"House Of Fraser Girls Dress Review…"
I love him! Delicious way to put the scarf, is the first time I see !! I am a sucker for a pretty red dress since that is my favorite color. 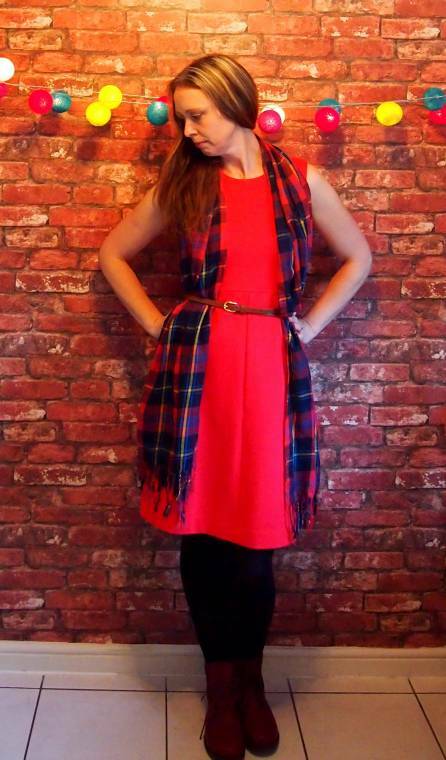 Love how you styled this with the tartan scarf. =)And to answer your question while commenting about my dresses. I own over 120 Dresses and yes I have a ton of clothes lol. I'm with you here Marie, aww hope your better now..
Love how your garments matching together, dear Clairejustine. You´re perfect for next Share in Style topic too, hehe. It'll be "Tartan/ Plaids". 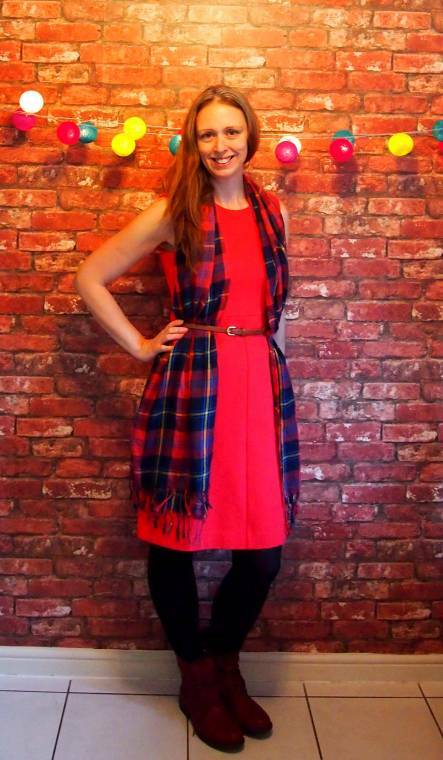 Your red dress perfect with the tartan scarf. Hope your cold gets better soon, keep warm. Love that look! Hope you're feeling better soon!! It's time to vote on Sharing in Style, dear friend. What a creative idea to give new life to a scarf! So stylish!